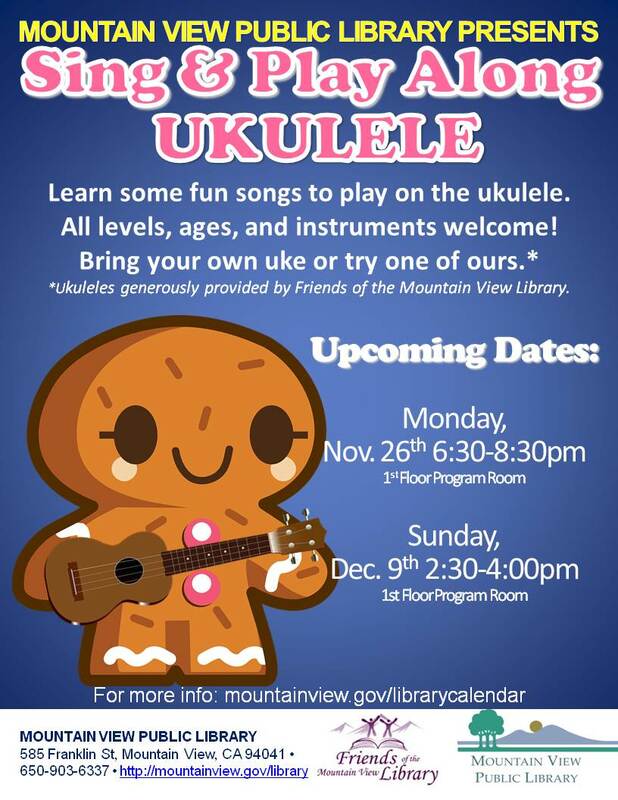 Beginners and ukulele enthusiasts are welcome to join us for this special Holiday edition of Sing & Play Along Ukulele. Chuck Monahan will guide us through playing some seasonal favorites. Bring your own uke, or use one of ours. Registration welcome, but not required!